Traveling to a foreign country for the first time can be a scary experience for most. There are hundreds of obstacles that could come up during a trip. These obstacles will likely include budget, transportation, and communication, which are just about the three essential parts to any trip. 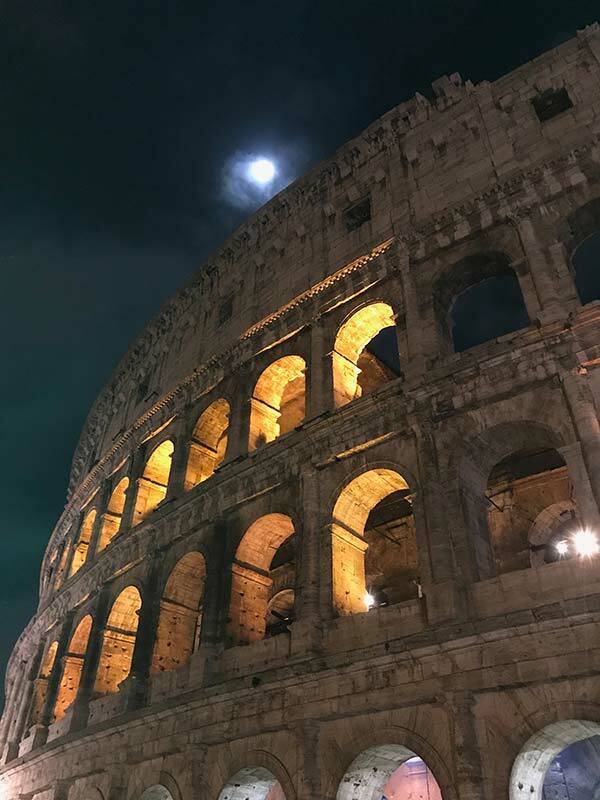 When planning my first trip to Italy, I decided that my first stop would be in Rome to visit my extended family. Unlike many other first-time travelers, I happened to be very lucky. My cousin Viviana’s husband, Raffaele, is a taxi driver and makes a living off tourism in Rome. 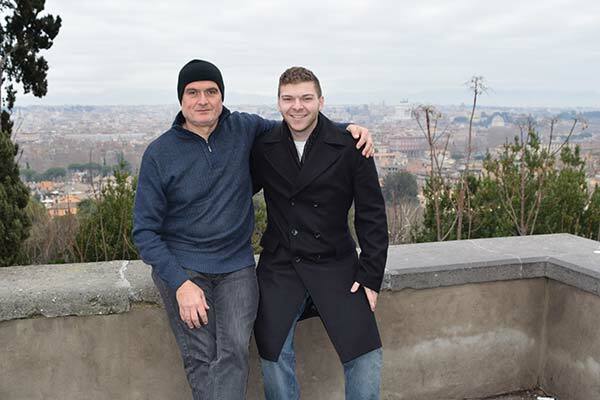 My friends and I were only staying in Rome for five days and Raffaele was kind enough to dedicate himself to us for most of our stay in the eternal city. If you ask anyone who’s traveled to Italy before, they likely stayed in Rome for at least a minimum of a week. The massive crowds at tourist attractions contributes to that. It’s likely that most people spend at least a half a day waiting to get inside the Vatican Museums alone. I had my caffé and cornetto, made my way to the Sistine Chapel, calmly explored St. Peter’s Basilica, and was back at Raffaele’s in time for lunch. We dedicated half a day to Vatican City and still had time to explore Rome later in the day. Most newbie travelers would beg to hear the secret to not dedicating one entire day to waiting on line in Vatican City. I had two things going for me. I visited Rome in January, which is down season for traveling to Italy, and I have a cousin who is a professional cabbie. My Italian family welcomed me with open arms and Raffaele was one of the most generous people I’ve ever met. From the first day we arrived, he would pick us up around nine o’clock and spent the entire day driving us to all the major tourist sites. Another factor that made this experience even more authentic was that Raffaele spoke very little English, so I had to pull whatever Italian my nonno taught me out of thin air. I also had my google translate app help me get through the more difficult conversations. One of the most expensive and time-consuming parts of visiting Rome is transportation costs. Most tourists are recommended to buy the Roma Pass, which costs at maximum 38 Euros. I purchased one, not realizing that I didn’t even need to use it. Not everyone has the money to pay cabbies to drive them around for the entire day. Walking is always an option, but most people are pressed for time during their trips. The Italian public transportation is very efficient, but again, it can be daunting for a first-time traveler to figure out the subways and bus routes in a city as large as Rome. Enter the hero of my trip, Raffaele, who picked us up in the morning for espresso and took us exploring around the entire city of Rome. 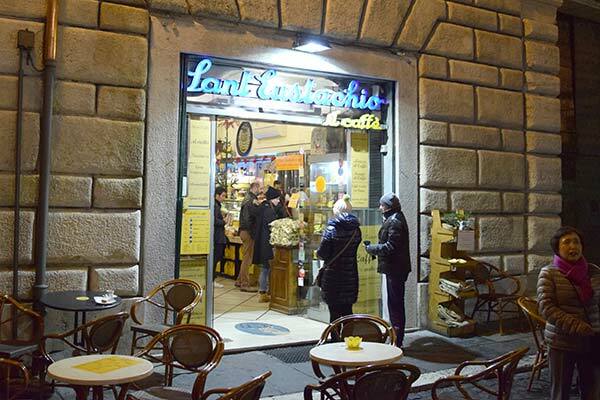 One of our first stops was at the legendary Sant’ Eustachio il Caffé, which is very well known and recommended by Vogue and the New York Times. No one on the planet drives with the efficiency and skill of an Italian cabbie, who sport some of the greatest reflexes I’ve ever seen. It’s truly an art to be able to drive in Rome. Raffaele resembled Mario Andretti when he did it, driving with both class and just the right amount of aggression. I felt like a movie star when Raffaele drove directly up to the Pantheon and parked near the side of the esteemed church, only for him to be waiting for us when we were finished exploring. Cabbies have more of a free range when it comes to parking in Rome. Raffaele especially came in handy when certain tourist sites were across the entire city from most of the main attractions. Instead of spending all my time figuring out public transportation times and maps, Raffaele had us at La Terrazza del Gianicolo in a matter of minutes. In only four full days and a half of the fifth day, we managed to explore the colosseum, Trevi Fountain, St. Peter’s Basilica, Vatican Museums, La Terrazza del Gianicolo, Spanish Steps, Piazza Venezia, Roman Forum, Palantine Hill, the Pantheon, Piazza Navona, and Campo de’ Fiori all while leisurely taking our time. Not to mention watching the fireworks light up across the city on New Year’s Eve while sitting atop the Spanish Steps, a recommendation of Raffaele himself. It was one of the most breathtaking experiences of my entire life to see the fireworks light up across Rome. There were tourists of all kinds watching along with me, celebrating by popping champagne in the middle of the street. As an American, I was shocked to see people openly drink in the street because it’s illegal in most cities in America. During the famed Italian daybreak called siesta, Raffaele and his wife Viviana cooked us lunch at their home. I’m sure that the New York cabbies would be jealous of the midday break the Italian cabbies are granted daily. After our mouthwatering eight course lunch, Raffaele had my friends and I taste test his home-made fennel grappa, which was amazing. It was a truly wonderful experience to witness a true Italian hospitality. 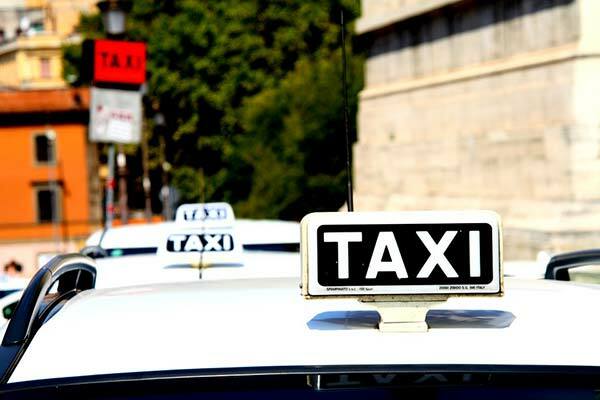 A day in the life of a Roman cabbie gave me an experience in Italy I will never forget. Unfortunately, I ran out of time in the eternal city only, wishing for one more day of experiencing the Roman way of life. Next Post: Does Your Kitchen Need a Silestone Worktop Transformation? Italian: Such a Lyrical Language! Does Your Kitchen Need a Silestone Worktop Transformation? What is Planned Preventative Maintenance?